The smooth curves of this ring make a bold statement while at the same time being very comfortable to wear. 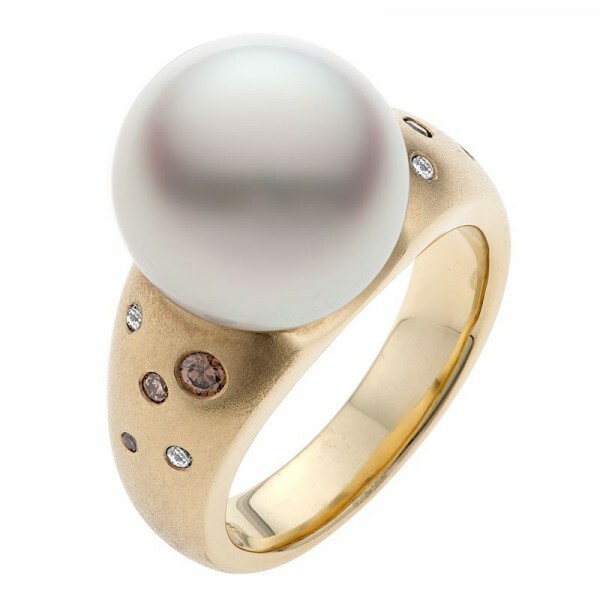 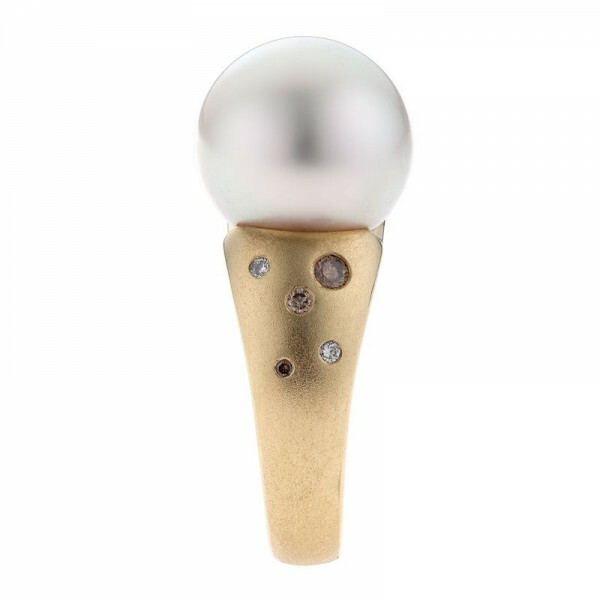 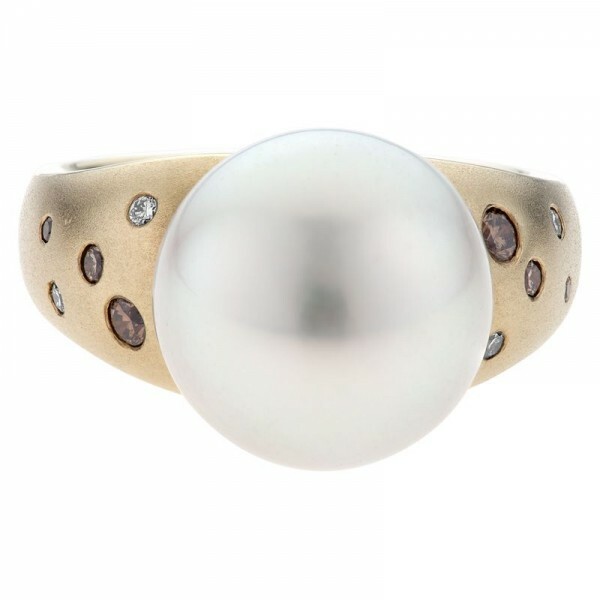 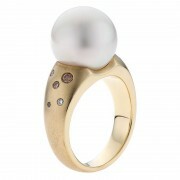 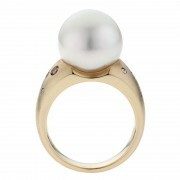 A South Sea pearl sits prominently on top and a scatter of white and champagne diamonds in the band give this ring a true Kimberley essence. 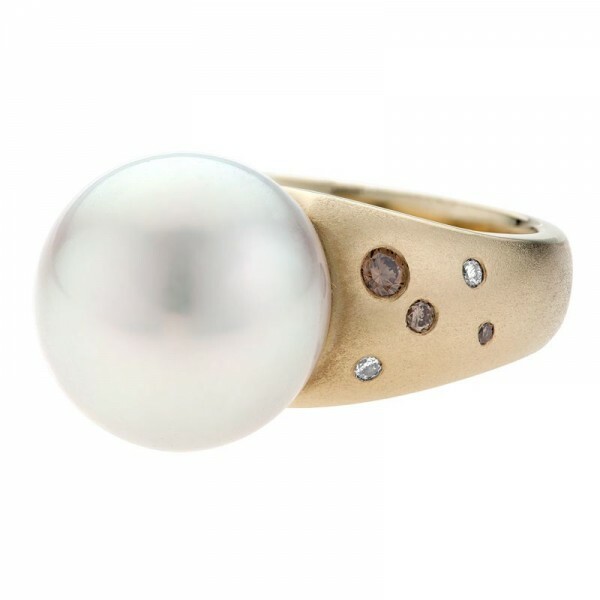 The gold is finished with a matte finish to enhance the feature of the natural Kimberley diamonds.